The casino is under a major expansion, the old area where you could park is now gone. 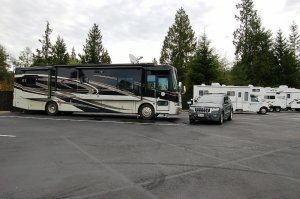 as a result there is no more rv parking with electric hookups. only dry camping. Check in with the hotel staff now, not the gas station. very unlevel parking on the south parking lot now. call to verify spaces are available.